The Kenneth Burke Society will host a "BurkeShop" Mini-Conference during a Special Interest Group meeting during the upcoming Conference on College Composition and Communication Convention on Thursday, April 7, 2016 in Houston, Texas. Time and Place: Thursday, April 7 at 6:30-7:20 PM, Hilton Room 336B, Level Three, Hilton of the Americas, Houston, TX. All presenters and attendees must register for the CCCC Convention (instructions located here: http://www.ncte.org/cccc/conv/registration). 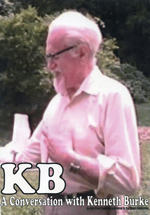 KBJ: The Journal of the Kenneth Burke Society invites submissions for a special issue dedicated to papers/projects/multimedia presentations developed from the 9th Triennial Conference of the Kenneth Burke Society (KBS 2014). The Kenneth Burke Society will host a "Micro-Burkes" Mini-Conference during a Special Interest Group meeting during the upcoming Conference on College Composition and Communication Convention on March 19, 2015 in Tampa, Florida. Time and Place: Thursday, March 19 at 6:30-7:20 PM, Marriott Grand Ballroom J (Level Two), Tampa Florida Marriott Waterside Hotel. All presenters and attendees must register for the CCCC Convention (instructions located here: https://secure.ncte.org/store/register.aspx).